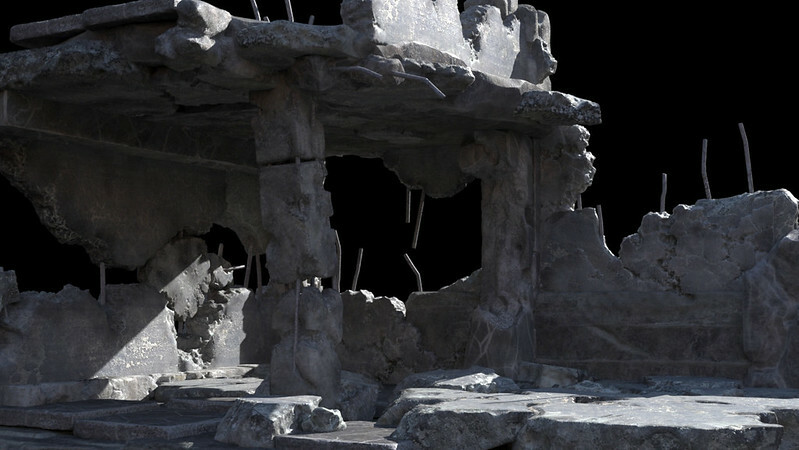 David Edwards: Ruin Kit Elements has ARRIVED! Ruin Kit Elements has ARRIVED! Over the centuries and eons past I've been crafting away at my grand creation! 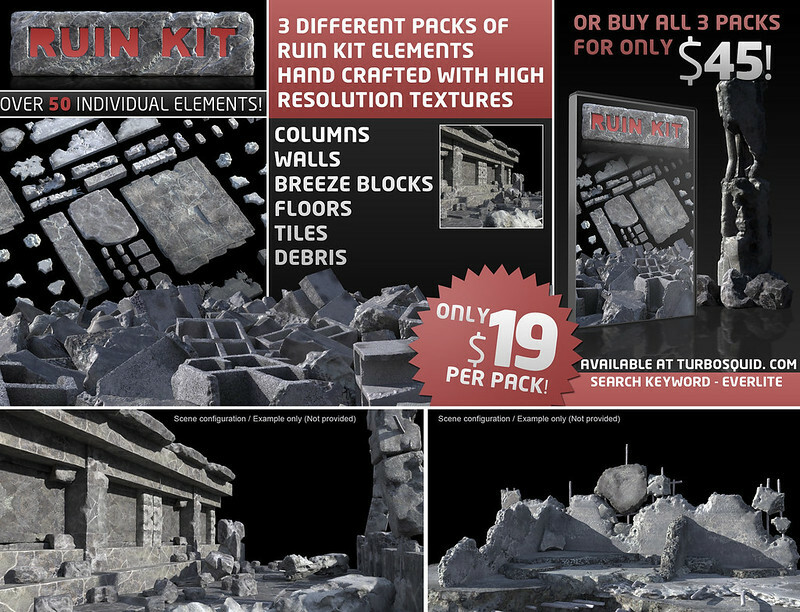 The Ruin Kit Elements Pack! 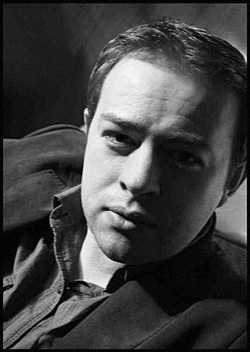 Ok, perhaps weeks, but days can often seem like years right! :) And now they are ready for all yee 3d artists to devour for the small sum of $19! OR all 3 packs for $45! come on; that's a bargain right?! Take a wonder over to Turbosquid and see them in all their glory! There's a LOT more to come! http://www.turbosquid.com/Search/Index.cfm?keyword=everlite All elements were created in Zbrush and layout/rendered through 3ds Max 2013 with Vray 2.5. The elements are provided in Max format with OBJs to support.